CAA policy and advocacy staff work with elected officials, policymakers, allies, and community members to advance or oppose budget, legislative, and administrative proposals that impact our constituents in our core issue areas of immigrant rights, economic justice, language diversity, education equity, community justice, and the Census. 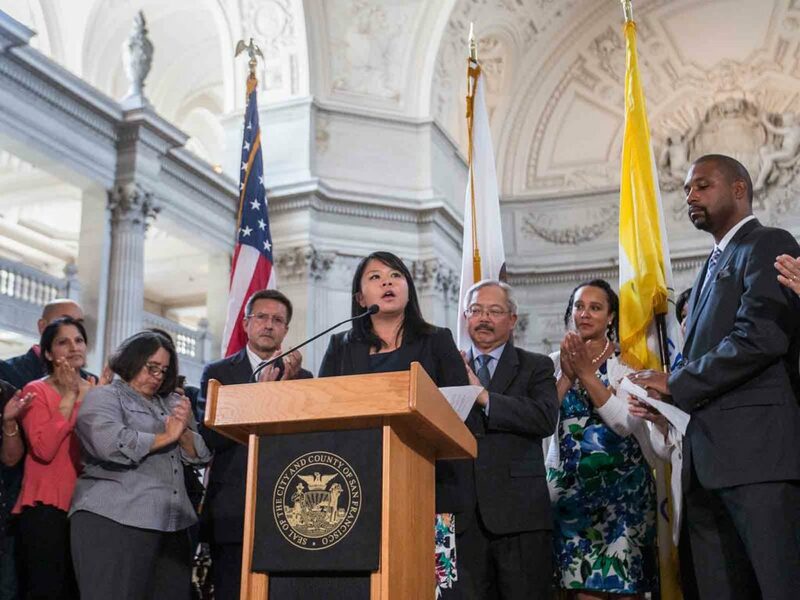 At the local level we regularly engage with the San Francisco Unified School District, City College of San Francisco, the San Francisco Board of Supervisors, and the the Office of the San Francisco Mayor. On statewide issues, our Sacramento office plays a leadership role for both our constituents in the Bay Area as well as for other progressive Asian American and Pacific Islander groups throughout California. CAA also engages on federal legislation and policy through local Congressional representation, issue-based coalitions, and alliances with other key community leaders and stakeholders. Our advocacy work includes aspects of our civic engagement and communications efforts, as well as original policy research and analysis, community-informed reports, and technical assistance to elected officials and policymakers.